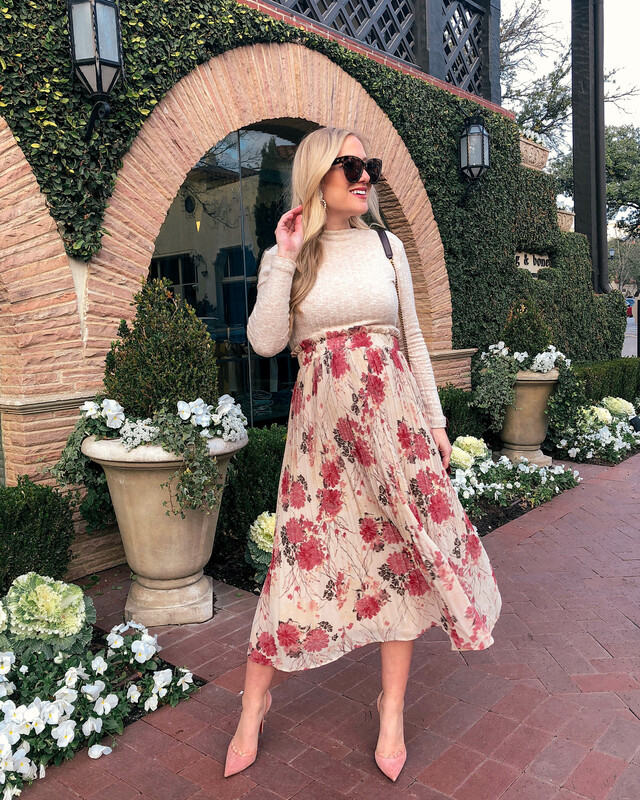 Florals for spring?! Always! Seeing blooms pop up all over the city after gloomy, cold winter is just the best, isn’t it?! The same goes for my wardrobe. I love to swap my greys, blacks, and neutrals for colors and florals! I bought this skirt hoping it would be something I could wear now (with a bump) and later. It is now on major sale, 60% off!, with code: FRESH40, making it only $31 and a total no brainer! I wore it with this dress underneath as a top because I simply love how soft it is. 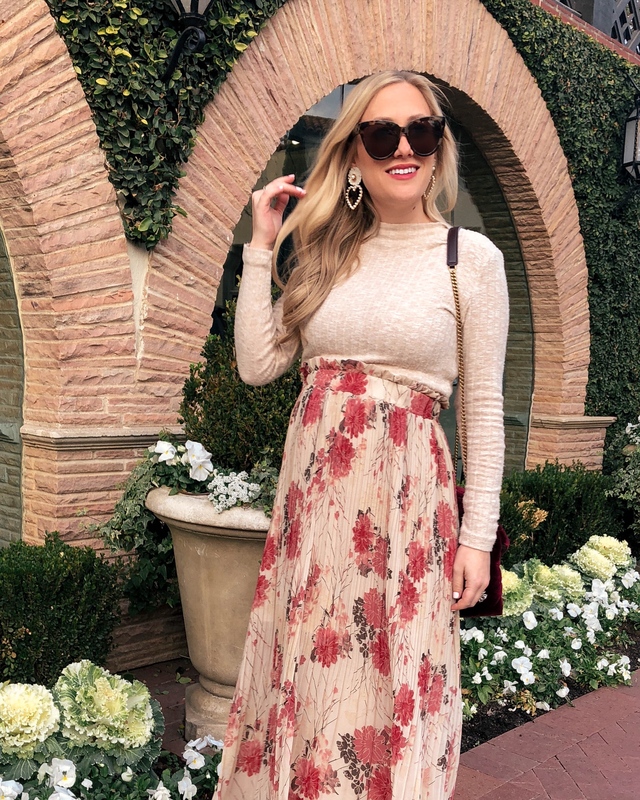 This dress was on major repeat a few months back before the bump had really popped, but now I feel more comfortable wearing it with a skirt or jacket on top. 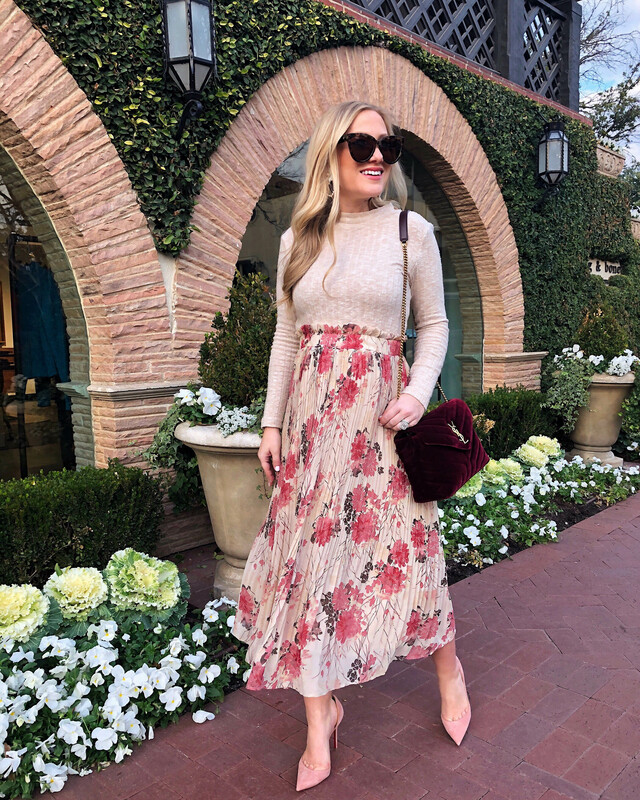 This skirt would also look darling with a simple white t-shirt, a denim jacket, and flats (I may actually style it like this over the weekend!). If I do I’ll make sure to share the look on Instagram! Great work, and so clever to wear a dress underneath! It looks great! Happy Spring!